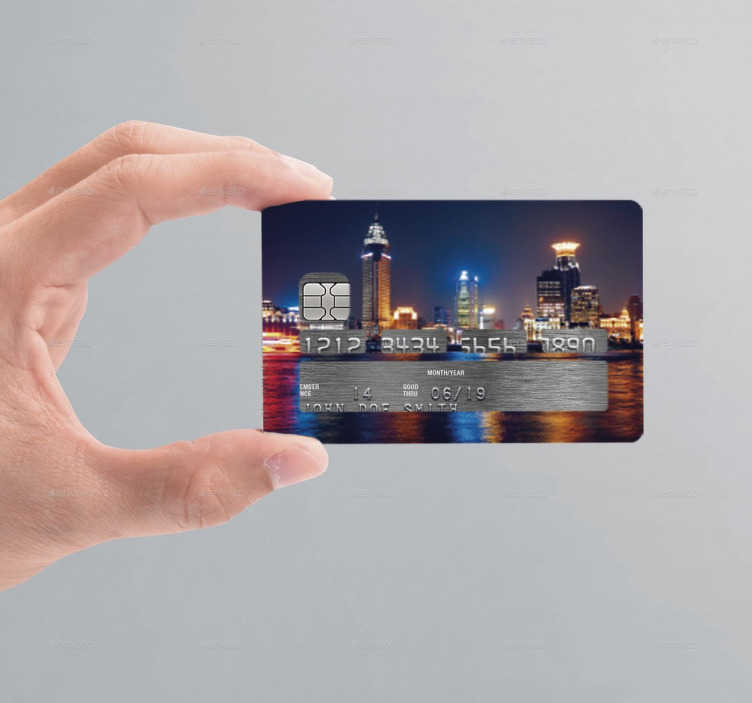 This original decorative sticker specifically designed for credit cards is the perfect way to customise your credit/debit cards! Featuring a design of a city illuminated at night over water, this vinyl leaves all necessary information showing and is as easy to apply as it is to remove! Leaving absolutely no residue upon removal, this sticker is made of a high-quality anti-bubble material!